Polesitter Brad Keselowski held off Kevin Harvick in a 12-lap run to the finish to win Friday night’s ToyotaCare 250 at Richmond International Raceway. 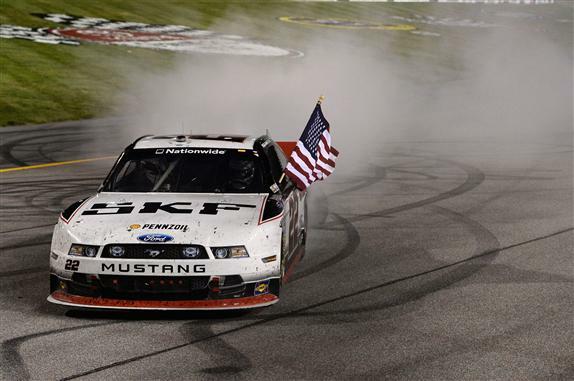 The victory was Keselowski’s first of the season in the Nationwide Series and the 21st of his career. Brian Vickers finished fourth, followed by Regan Smith. The victory was a breakthrough of sorts for Keselowski, who won for the first time this year in either the Nationwide or Sprint Cup Series, after Penske Racing switched from Dodge to Ford during the offseason.